As usual I received this book for free in exchange for a review. This time it was from the author himself after I reviewed the first book in this series. Despite that kindness I give my scrupulously honest opinions below. The story runs along a fairly familiar sci-fi story line. Our protagonist wakes up and has no recollection of who he is or why he happens to be there. As the story unfolds we learn the sinister reasons why he is where he is. To the positive side, the author, as with his previous book in the series, has hit upon a interesting thematic tidbit. There are some great visual descriptions in this book and the concept has potential. To the negative, a lot of that potential is never entirely realized. Firstly, the initial volume in this series had, what I referred to as a “potent psychological thread” and this short book is much more about simple storytelling. I didn’t sense the depth that was evident in the previous novella. Also, it’s worth noting that this book is tiny. It’s 83 pages and formatted in such a way that it’s stretched out to be physically longer than it actually is. This is a sub-60-minute book and it doesn’t really get much of a chance to get rolling before it’s suddenly over. Lastly, I’d be remiss if I didn’t say something about the writing and editing. I’m accustomed to e-books being riddled with errors but seldom have I seen a print book that made such profligate use of erroneous language. Especially wince-inducing examples included “at her beckon call” and “to try and do something” though I’ll admit to smiling a bit at the “briefcase-sized case”. In summary, there’s a nugget of something good here but it needs more development and a good sound editing. 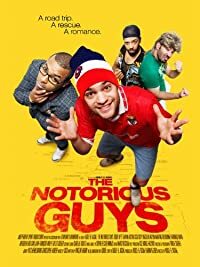 Visit our review on Amazon.com to let us know what you think and don’t forget to vote our review helpful if you find it so. If you don’t then that’s fine too but please let us know what we missed! As usual I paid nothing for this book but instead received it for free in exchange for a review. This time it was from NetGalley. Despite that repeated and wonderful kindness, I give my scrupulously honest opinions below. This book is, to put it loosely, a bit of an outlier in the modern literary world. 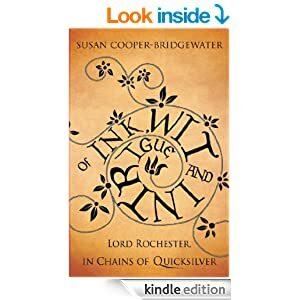 It’s set in mid-1600 England and is the fictionalized life of John Wilmot, Second Earl of Rochester. It’s written in a diary format so the whole thing reminds me very strongly of a cross between The Diary of Samuel Pepys (who makes a brief cameo appearance) and The Picture of Dorian Gray. To the positive, this is a unique and richly rendered exhibit of life during these times. The reader is treated to all the usual plagues and illnesses and their accompanying treatments as well as all the common entertainments of the day. As a work of crystallized history it is a wonder. The main character is also delightfully scandalous and easily and promptly disliked by the reader. This is a rich and very detailed verbal tapestry. Unfortunately, to the negative, it comes across at times as almost impenetrably dense and shares many of the negative attributes one can ascribe to Pepy’s diary. It’s an abundantly curious historical artifact but it hardly makes for popular reading. To summarize, this is a book that for some will be a miracle. It is that detailed historical period novel that you’ve always wanted that grinds all the way down to the daily choice of ‘vittles’ as the protagonist puts it. If, however, you are not prepared for what is at times a laborious grind of a read, then there are better choices. Only you can judge whether you prefer your history entertaining or overflowing with detail. Unfortunately it does not seem possible that both can occur simultaneously. I picked this movie because of the pleasant yellow cover and the fact that it looked rather lonely on Amazon Instant watch and in need of an impartial review. Am I glad I did…? yes, mostly. To categorize this one it’s basically in line with a Beavis and Butthead or a Wayne’s World or Bill and Ted. Crazed misfit dudes go on a bizarre adventure and do some completely random crap. That about sums it up and if you don’t like the idea of that then you won’t like the movie. On the positive side, the movie starts out really well. They regularly break the fourth-wall by talking to the audience and even go so far as to spoof about playing specific music just to get the royalties for it. Their madcap hijinks are absurdly random as they bully a downspout (yes, that aluminum thing that carries water from your gutters to the ground) and there is, of course, the obligatory self-pleasure scene. It’s perplexingly random to be sure. To the negative, all the best parts of the movie are in the first 30 minutes. So is this movie worth starting? yes. Is it worth finishing? Probably not. So I’d suggest that if this is at all appealing to you then start it up and the moment that it seems to drag (which it will) then turn it off and watch something else. I’ve watched it to the painful end so there’s no need for you to. Another negative aside from the slow story slide is that it’s very hard to pay attention to the highly visual humor and read subtitles at once. So be prepared for some visual gymnastics. In summary, as I said, start this movie then stop it. Do not watch it all the way through. Enjoy the girl in the bikini bouncing on the trampoline and the introductory classroom scenes and then go do something else when you’ve had enough. It’s an amusing concept but not an hour+ worth of amusing concept. I picked this particular bit of video because it looked lonely on Amazon Instant watch and in need of a review. Am I glad I did? Yeah, mostly. 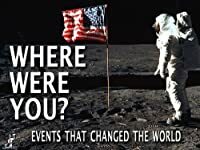 This short-lived series is a collection of mini-documentaries covering momentous events in world history from 1945 through 2004. Each event gets 24 minutes of coverage that runs something along the lines of a 4-minute introduction to the event, then 20 minutes in which the history is put into historical context. So for the moon landings we start out in the 60s for the intro, then we go back 100 years to the pioneers of rocketry and then work our way back up to the 60s again. On the positive side, the episodes assume you know absolutely nothing about the event in question. They start from the basics of “This is the moon” and work you quickly back up to the importance of the event in question. I’m also impressed that the series does not take an America-centric view on history. It does have a preference for the Western Hemisphere but every continent at least gets a mention in some episode. To the negative side, the production value of some of these episodes is atrocious. The incidental music sounds like something from a royalty-free website of music clips. It’s distractingly bad most of the time and almost worth muting the TV and turning on captions. (Sadly there are no captions) Further, the video is all period footage which is to be expected but something has happened in the translation that introduces very tight waves that creep in and out of the playback. Lastly, the introductory vignettes and the bumper graphics between commercials all seem to have been left in. So in any one episode you see the same video of a dirigible about 10 times. In summary, these are neat and easily digested tidbits of history if you can put up with the production problems. Probably something to show the kids so they know what in the world grandma and grandpa are talking about when they go on about World War II or the JFK assassination. As usual I received this book for free in exchange for a review. Also as usual I give my scrupulously honest opinions in spite of NetGalley’s generosity of providing a free copy. This really is a tale of two books. About 60% of the content of this book revolves around what I could only succinctly describe as alternative history. Familiar names like John Wayne, Orson Welles, Mark Twain and others all do things that seem reasonably within their respective characters but most assuredly did NOT actually happen and at times perform perplexing anachronisms. The remaining 40% of the book is a series of related tales centered on a fictional world in which the dead are sold for parts and many have their life histories tattooed upon their bodies. Personally I’m a fan of the latter practice and may soon enact it myself but that’s irrelevant to any qualitative statement about the book. On the positive side, the author has a tenacious talent for the bizarre. All of his stories have a quality of perplexity that is rare to find in any author. 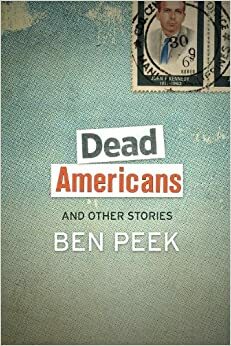 In the portion of the book that I describe as the “dead are sold for parts” there is a particularly strong thread of continuity and I’d like to see that milieu expanded into a novel or even a series of them. This is a delicious and darkly foreboding place that one would giddily and guiltily visit time and again in the written page but never likely admit to anyone for fear that you just couldn’t do it justice in describing it. To the negative, the portion of the book that I describe as alternative history left me rather disappointed. Perhaps it’s my own idiosyncrasy but I was far too distracted trying to unravel the reality of Twain and the others from the fiction that was woven around them. This is a perpetual weakness of the alternative history genre in my mind and one this book just didn’t manage to properly address. In summary, the author is a grand talent but I think the book focuses on the wrong thing. The very cover emphasizes the wrong part of the book. I acknowledge fully the author’s talent but I think that, as the saying goes, his light is hidden under a bushel and that the real meat of this book lies in the middle and is filled with unfamiliar and notably unAmerican names. As usual, this book came to me free in exchange for a review. Also as usual, my scrupulously honest opinions follow in spite of the kindness of receiving a free copy of the book. In a nutshell, this novella is a standard Faustian tale in which our protagonist regrets the bargain he made centuries ago. 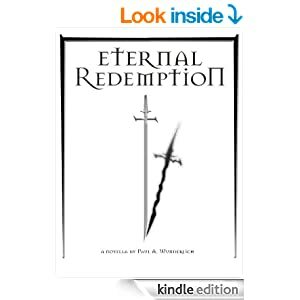 The story is amusing because the author has chosen a familiar and popular premise. One can almost never lose when the devil appears in your book. The one twist we see is that we view the story from the perspective of the aftermath of the bargain rather than the time which led up to it. This is not to say that one is qualitatively inferior to the other, but merely to point out that there is a wide swing in tone from the beginning to the end. So if you’re reading a sample that includes page 1 and don’t understand a word of it, fear not. It does come back down to Earth. Personally I would have preferred it had stayed in its lofty prolixity but if that were the case then I am confident that I really would be the only one who wanted to read it. Moving beyond the writing itself, the story, while entertaining, seems to lack subtlety. I judge much about the quality of a book based on the images which come unbidden to mind as I read the text. In this case the images were those you might see in a graphic novel. The plot raced along but seemed to lack details and artistry. That is no doubt because the author’s real intent is more allegorical than descriptive, but that theme didn’t seem sufficiently strong to distract me from the rather surface treatment of the action. In summary, it’s a worthwhile buy at its current price point but I think that the writing style within the first 5 pages caused my own expectations to ascend to unattainable heights. 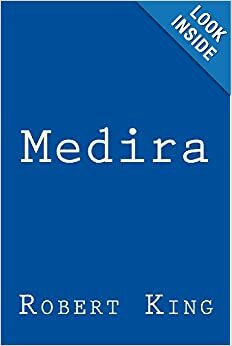 This novella is a unique blend between descriptive action and poignant allegory but I’m not sure it has attained exactly the right blend between the two. It definitely spurs further interest in the author and I am anxious to see what else he may produce in the future. As usual I didn’t pay for this book but instead received it for free in exchange for a review. True to that promise, I give my scrupulously honest opinions below. So the description of the book doesn’t give an outline or table of contents, so I’ll do that for it. Section I – Introduction – 10% – Why do you need this book, lots of personal tidbits from the author, promotion of other products by the same author. 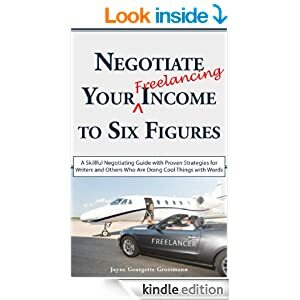 Section III – Negotiating Skills – 15% – Description of various strategies for negotiations and how to use them correctly and pitfalls to avoid. Section V – Potential mistakes, dishonest negotiators and other associated problems – 10% – What do do if things go wrong and how to tell when they’re going wrong. Section VI – Case studies – 15% – A set of really vanilla examples of negotiations. Section VII – Selective resources – 5% – Basically just random tips. Hopefully that all adds up to 100%. Looking at that, it would seem this is a very well-rounded book that covers a lot of the bases and on the surface you would be right. It has a lot of very good information in it. The part that made it lose so much esteem in my eyes was the writing itself. Firstly, on this point, the writing is so soft and airy and almost bubbly that it borders on unprofessional. Further, it seems at times that the writer is a non-native speaker of the English language and things come out a bit garbled. I’ll present a few examples to illustrate my point and you, my own humble readers, can judge for yourself. The items below are direct quotes from the book and are checked scrupulously for accuracy. Please note too that these are just the problems that leap out at me in a quick skimming of the text. They are not exhaustive but merely representative. I won’t go on because I don’t want it to seem that I’m picking on the author but clearly this book needs some additional work. It seems like a great idea and may convey some critical information but it falls well short of professional at this time. If you buy a copy, do so with the knowledge that you’re going to have to wade through some pretty spotty writing.